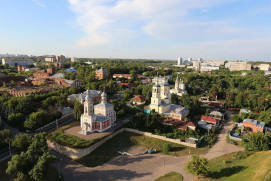 140 km from Moscow in the Yaroslavl RegionRussian: Yaroslavskaya oblast, or Ярославская область lies a beautiful town – Pereslavl-ZalesskyRussian: Переславль-Залесский. 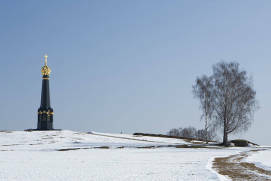 This is one of the towns of the “Golden Ringa ring of cities northeast of Moscow that preserve the memory of the most important and significant events in Russian history” of Russia. 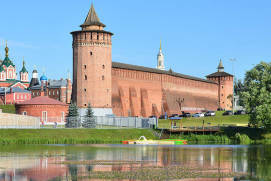 Its history is closely intertwined with the names of the legendary Prince Alexander Nevskya key figure of medieval Rus' known for his military victories over German and Swedish invaders, Tsar Ivan the Terribleruled from 1533 to 1584, and Emperor Peter the Greatruled from 1682 until 1725. 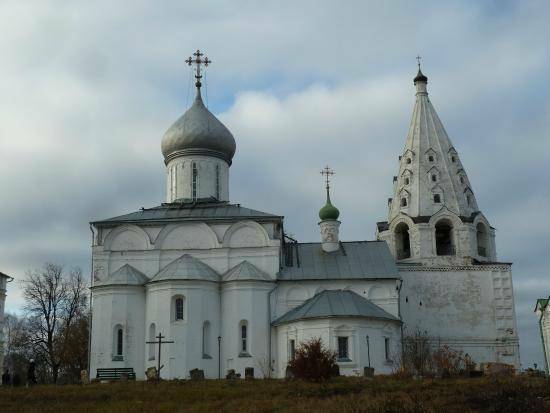 Amazingly, in this small town there are six monasteries (the oldest of these is the Nikitsky MonasteryRussian: Nikitskiy monastyr or Никитский монастырь which was founded in the 12th century), nine churches dating back to different centuries, over a dozen museums, art galleries as well as a few archaeological sites. 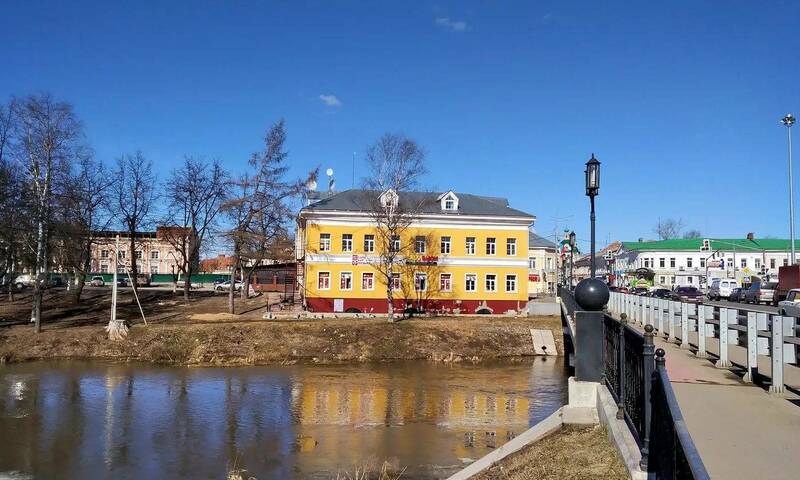 In Pereslavl-Zalessky you can not only get to know the long history of the town but also enjoy strolling along its quiet streets, admiring its picturesque views and magnificent panoramas. 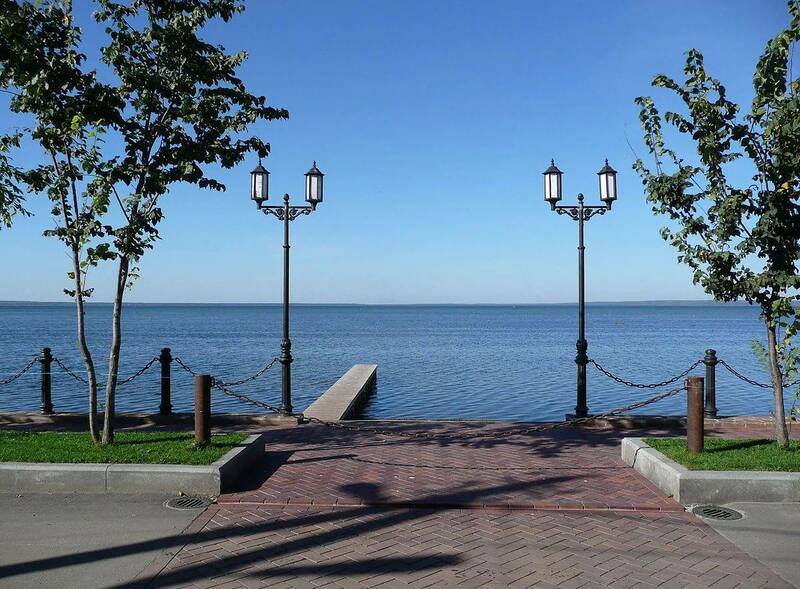 Furthermore, the town is famous for its views thanks to its location on the shores of Lake PleshcheyevoRussian: Plescheyevo ozero or Плещеево озеро. 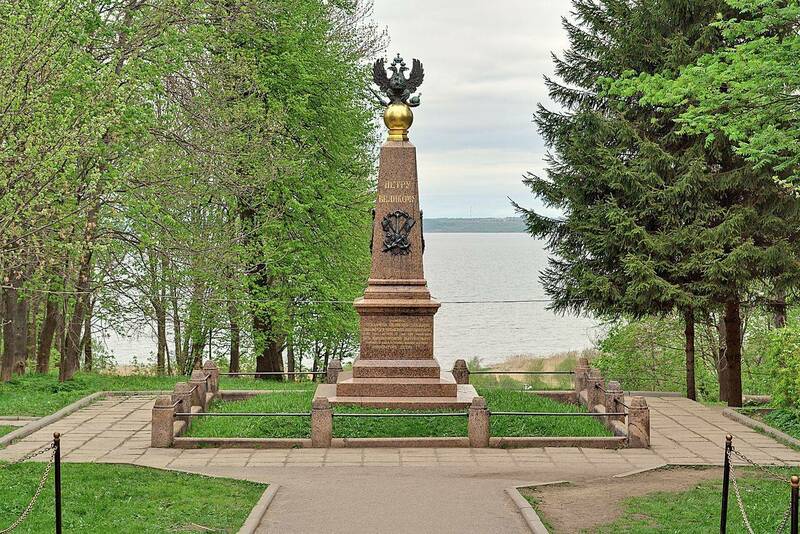 Incidentally, this large lake is where the history of the Russian fleet began. 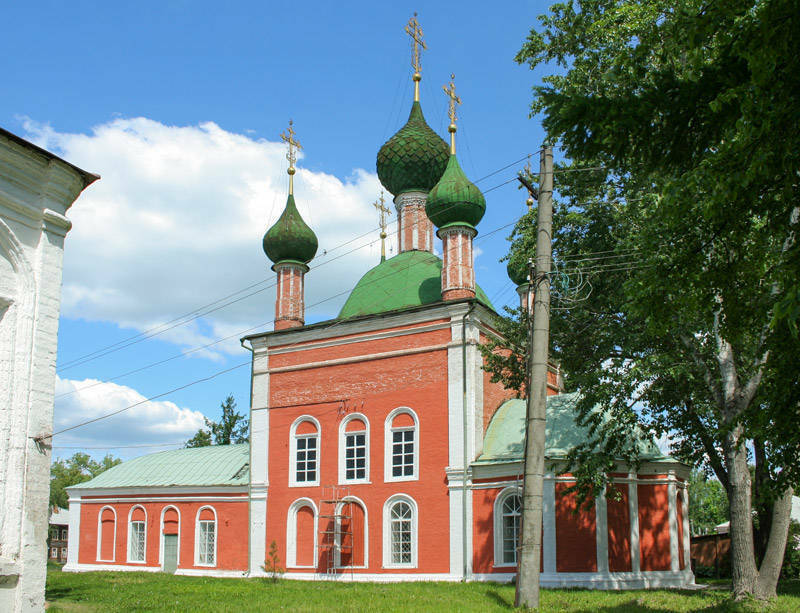 Pereslavl-Zalessky first became well-known due to Prince St. Alexander Nevsky; the military leader and statesman of medieval Russia was born and spent his childhood here. 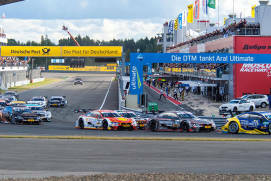 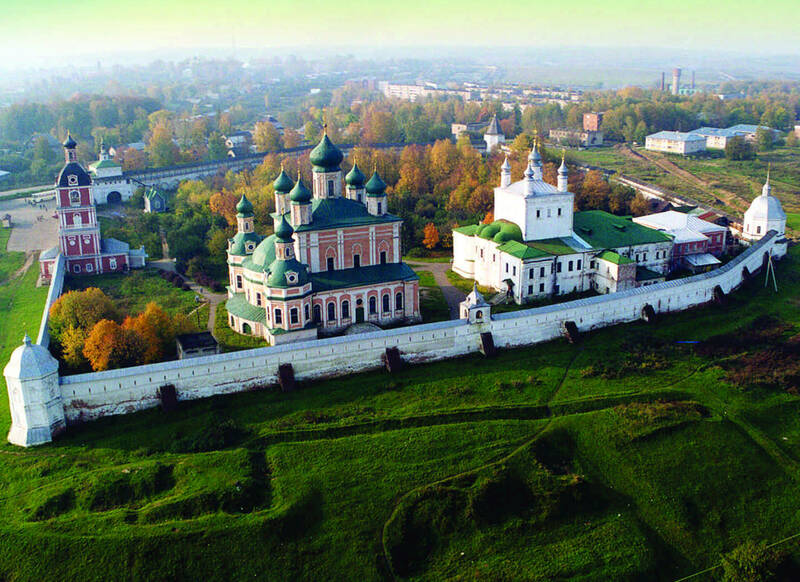 However, it is believed that the town was established around 1152, when it was founded by Prince Yuri Dolgorukya Rurikid prince and founder of the city of Moscow. 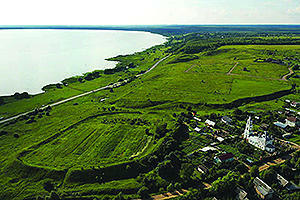 Archaeological finds indicate that people lived along the shores of Lake Pleshcheyevo long before this date. Even now, we can see the well preserved ramparts of KleshchinoRussian: Клещино, a small town that already existed in the 11th century. 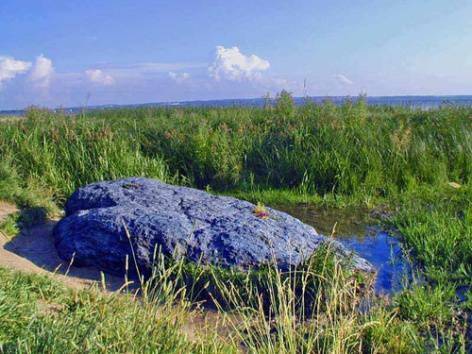 Some earlier artifacts have also survived, such as the “Blue StoneRussian: Siniy kamen' or Синий камень” that is thought by some scientists to be none other than an ancient idol used to serve as an object of worship during Pagan times. 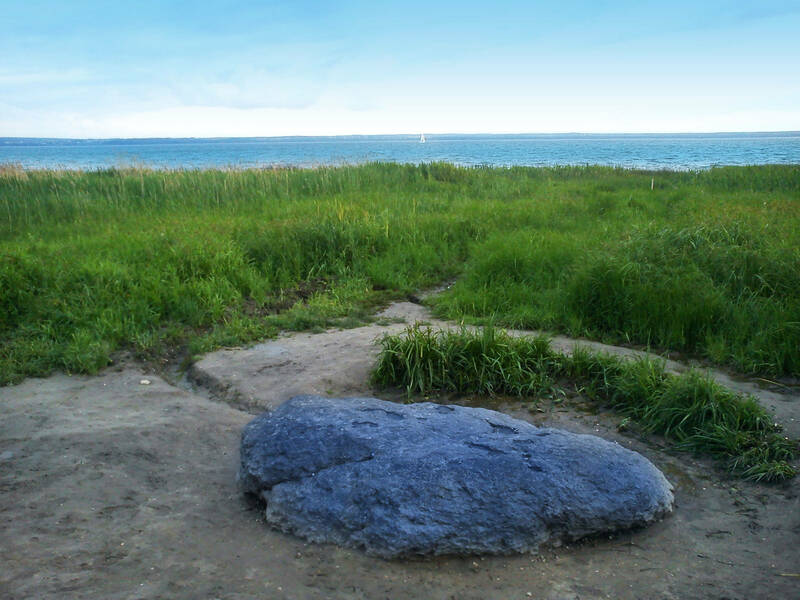 This area was a particularly hospitable place to live; the lake provided clean drinking water and fish, and the River VeksaRussian: Векса could take early inhabitants as far as the River VolgaRussian: Волга, which opened up great opportunities for trade. 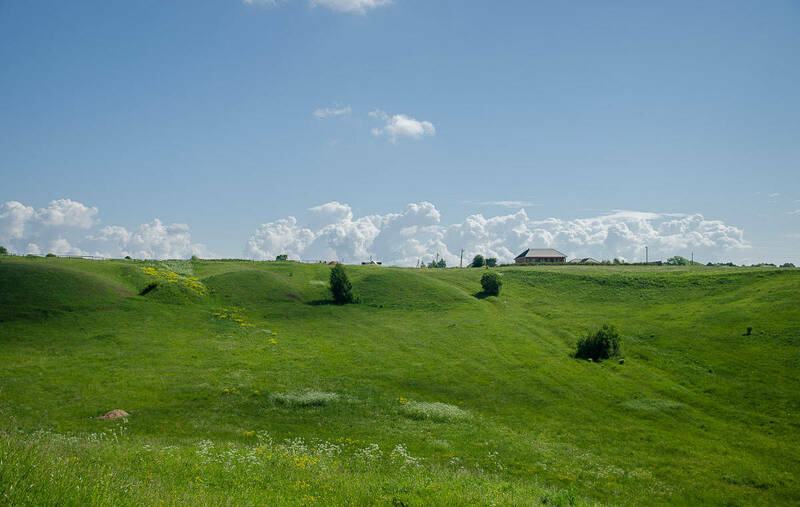 In addition, Pereslavl was surrounded by fields. 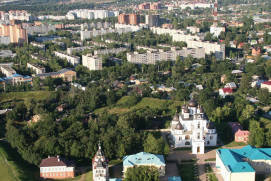 The name of the town – Zalessky – literally means that it is located behind forests, that is, in an area suitable for agriculture. 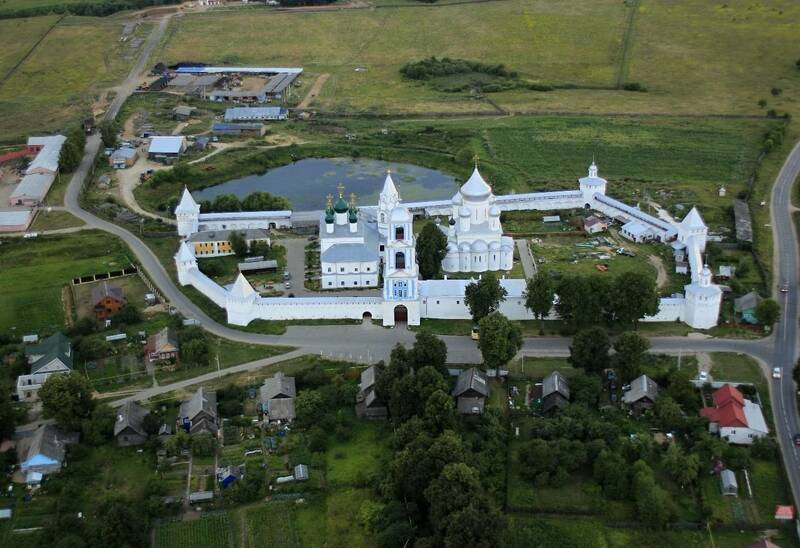 All of this contributed to the growth of Pereslavl into a major cultural centre of north-eastern Russia. 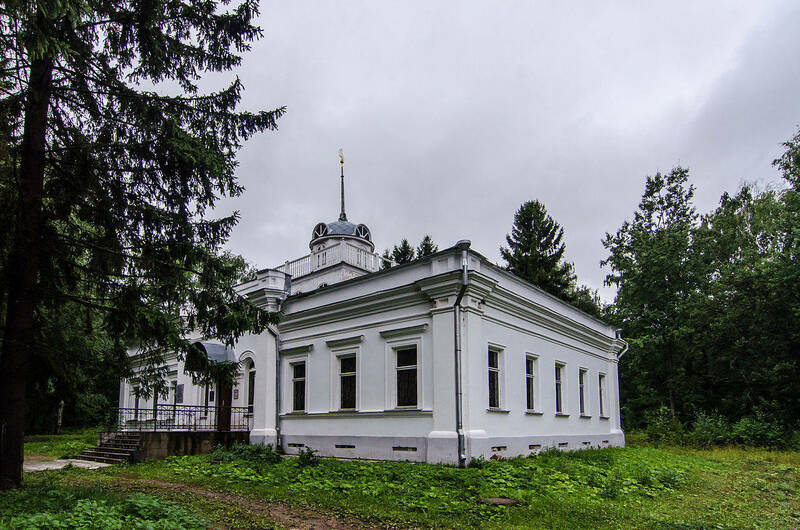 Today, while walking around the city and its suburbs, the streets seem to recall the eventful history of Pereslavl, which over the centuries has been associated with the lives of many famous people. 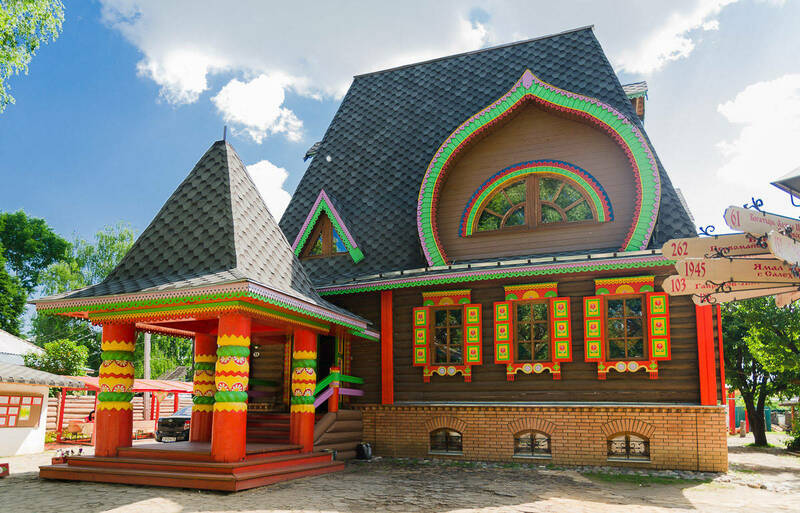 For example, Alexander MountainRussian: Aleksandrovskaya gora or Александровская гора used to be a pagan temple before the introduction of Christianity into Russia. In the 13th century, Prince Alexander Nevsky founded the first Orthodox monastery there. 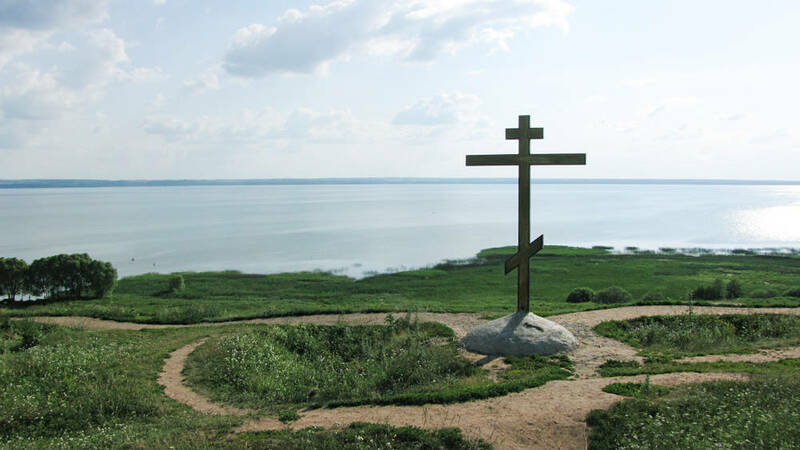 Today, there are no buildings on the mountain but instead there is a large wooden cross. 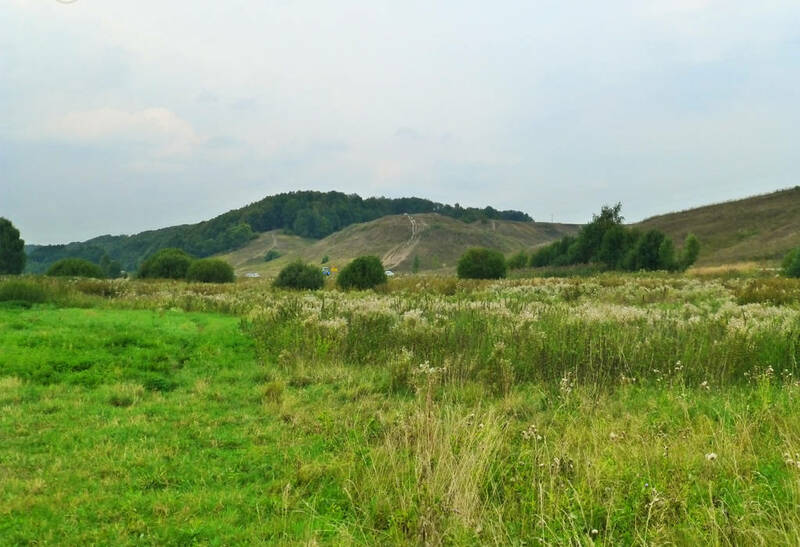 It’s worth going to the top of the mountain to enjoy a panoramic view of the town. 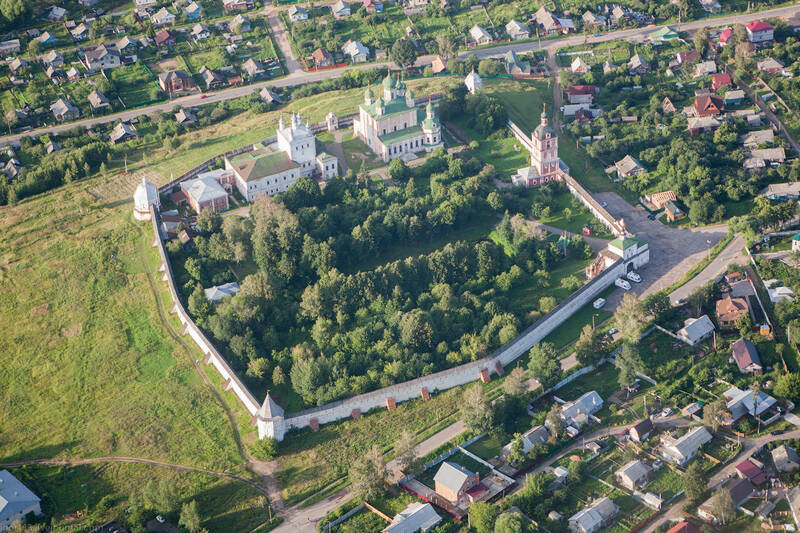 Pereslavl has partially preserved its ancient layout; the remains of earthen ramparts which used to be the basis of the 12th century town fortifications are clearly visible today. 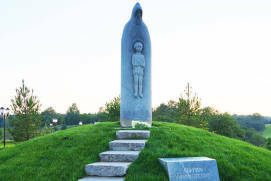 These are situated on a street called Valovoe Koltsomeaning ‘rampart ring’; Russian: Валовое Кольцо, a nearly circular street which is reminiscent of Moscow with its ring road system. 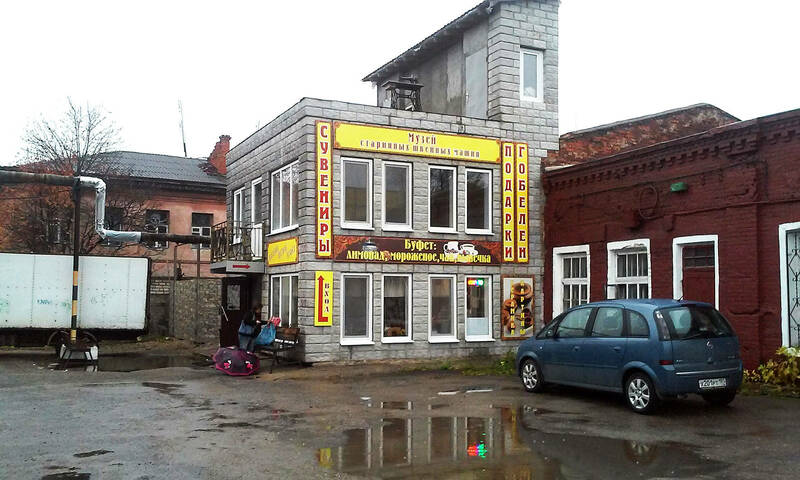 Moreover, Pereslavl has its very own Red SquareOr Krasnaya Square. 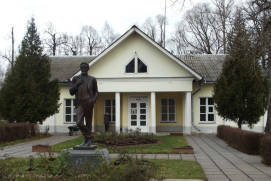 The square once used to be the meeting place for Veche, or a people’s assembly. 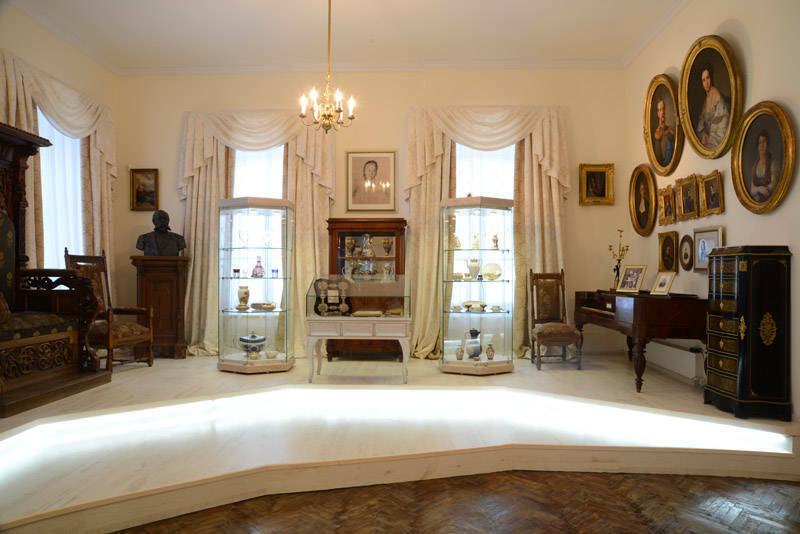 It was on this square, in the Prince’s chambers, that Prince Alexander Nevsky was born. 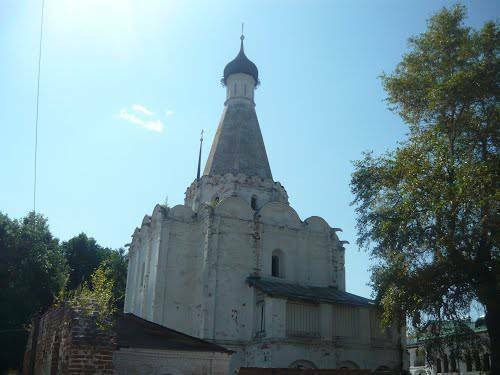 Today a bust statue of Alexander Nevsky stands on the square, as well as an 18th century church which was built in his honor. 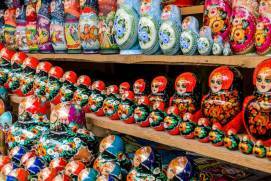 The main attraction of the Red Square is the 12th century Cathedral of Transfiguration of the SaviourRussian: Spaso-Preobrazhensky Sobor, or Спасо–Преображенский собор (3, Krasnaya SquareRussian: Krasnaya ploschad or Красная площадь), the town’s oldest church. 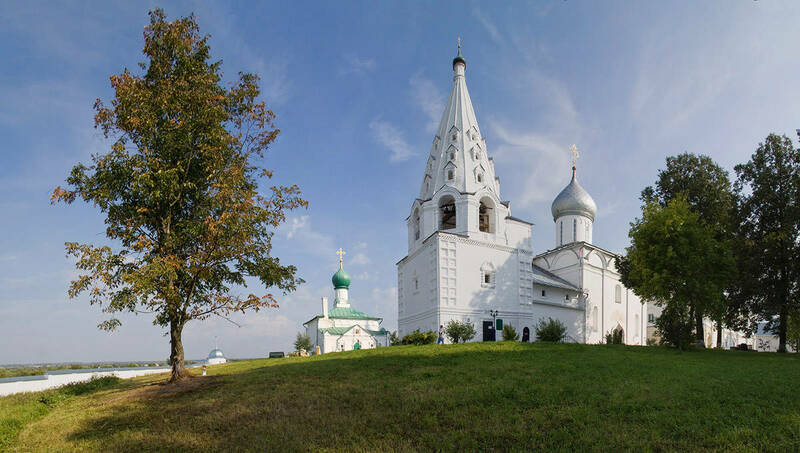 This simple, squat, cross-domed white stone church which sinks into the ground is one of the earliest monuments of North-Eastern Russia. 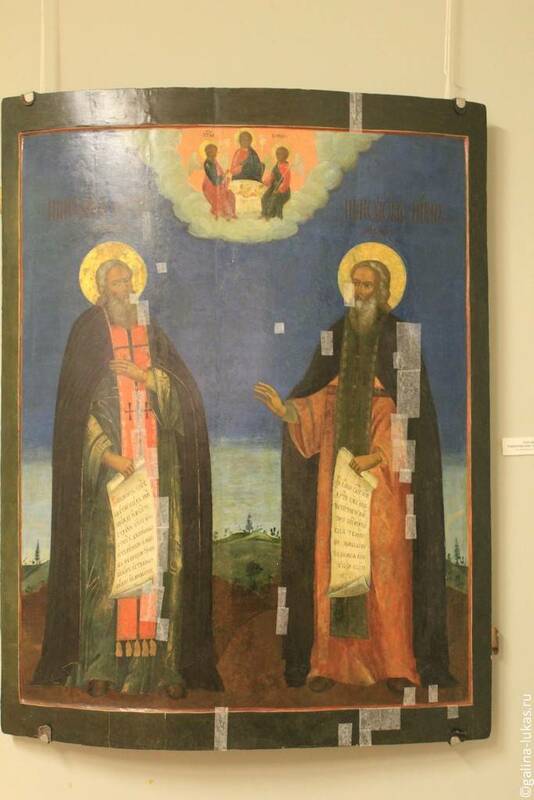 Unfortunately, its interior has lost its fresco decorations, though the some remains of these are now kept in the Historical MuseumRussian: Istoricheskiy muzey or Исторический музей in Moscow. 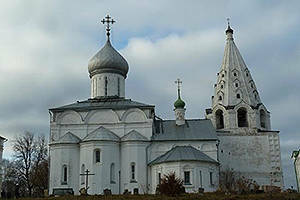 Nonetheless, visitors often admire the church’s architecture, the shape of its walls and the harmony of its proportions. 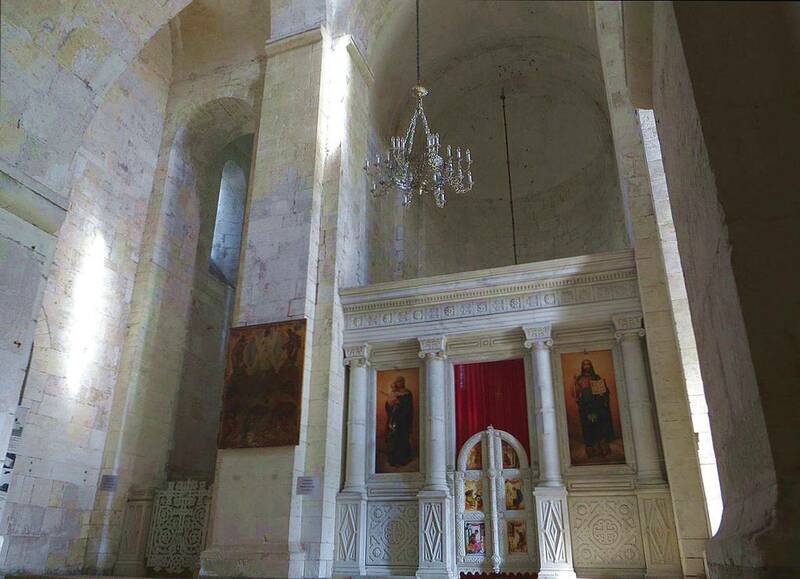 White stone walls give the interior a light and airy feel, lending the structure an air of austere beauty. As well as the Transfiguration Cathedral, many other interesting landmarks are situated on the Red Square. 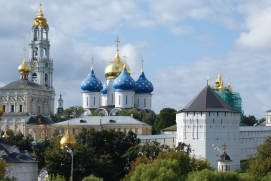 One of these is St. Peter Metropolitan ChurchRussian: Tserkov’ Petra-Mitropolita, or церковь Петра-Митрополита (5, SadovayaRussian: Садовая str.). 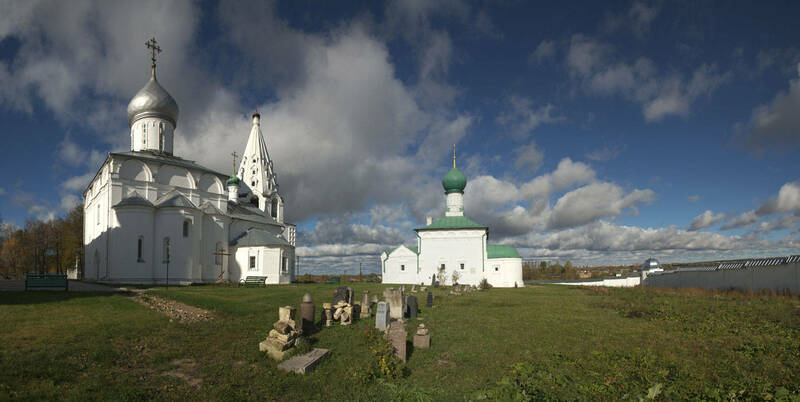 This church was built in the 16th century and is particularly notable for its tented roof which lends a certain harmony and lightness to its silhouette. 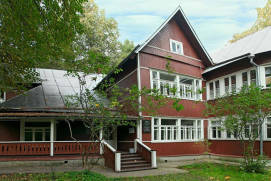 On the same square is the Museum of CraftsRussian: Muzey remesel or Музей ремесел (11, SovetskayaRussian: Советская str. 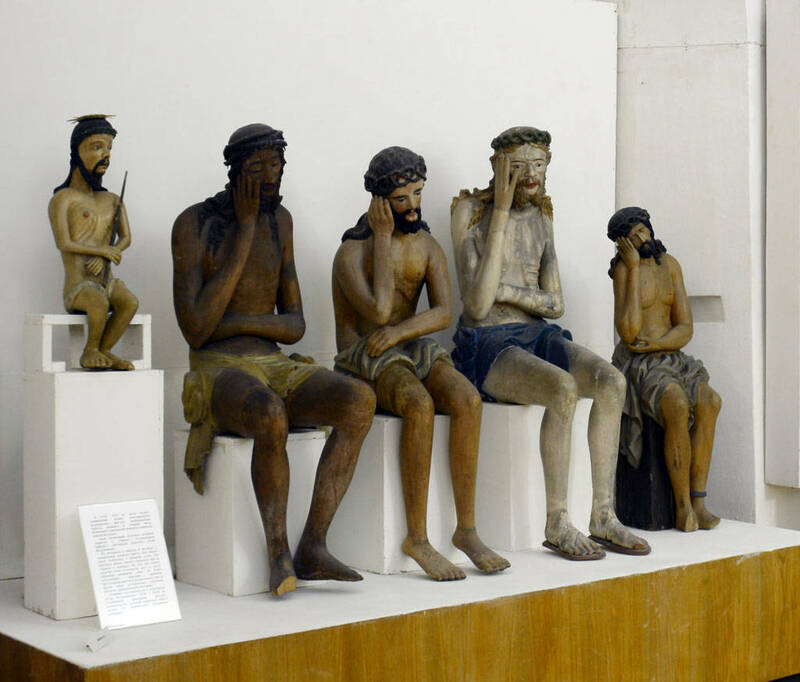 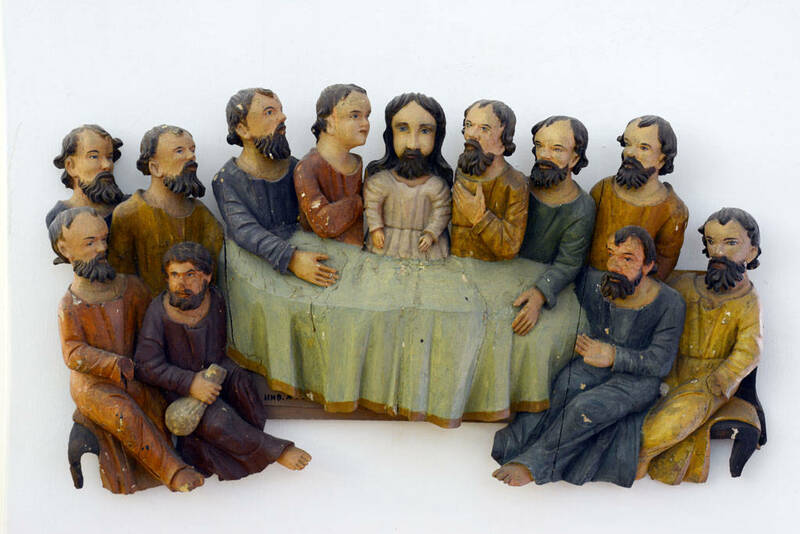 ), which contains a small exhibition with some objects commonly used by peasants in ancient times. 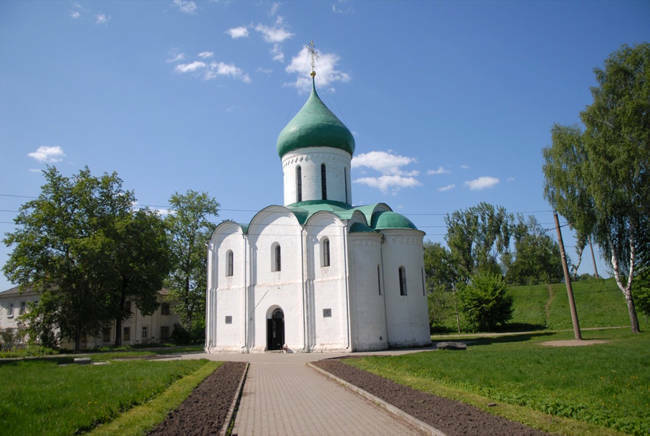 There are a few monasteries worth a visit in Pereslavl. 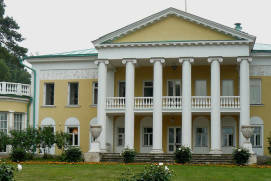 For example, the Nikitsky MonasteryRussian: Nikitskiy monastyr or Никитский монастырь (20, ZaprudnayaRussian: Запрудная str., Nikitskaya slobodaRussian: Никитская слобода) is the oldest in the city. 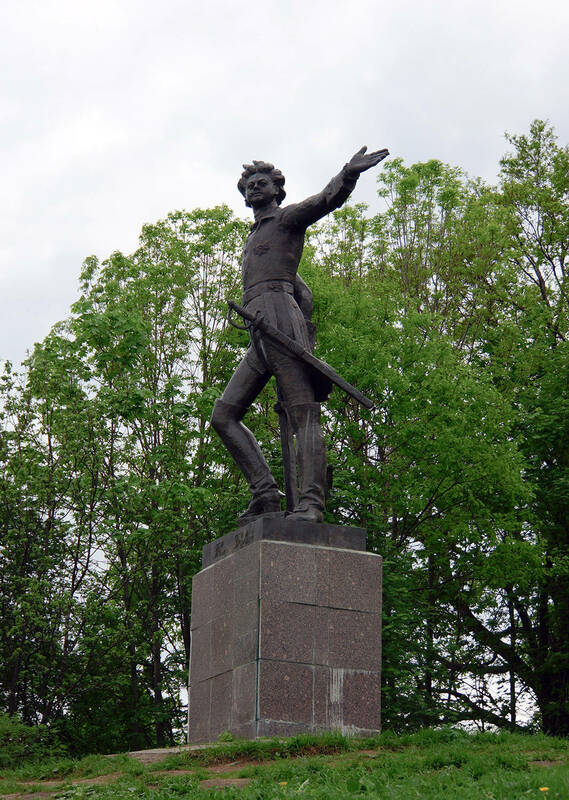 Its history is linked with the life of Nikita Stylites who served Prince Yuri Dolgoruky as a tax collector, which was a rather brutal job. 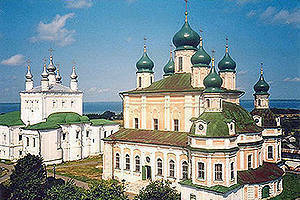 Then he repented, retired to the monastery, and lived there until his death. 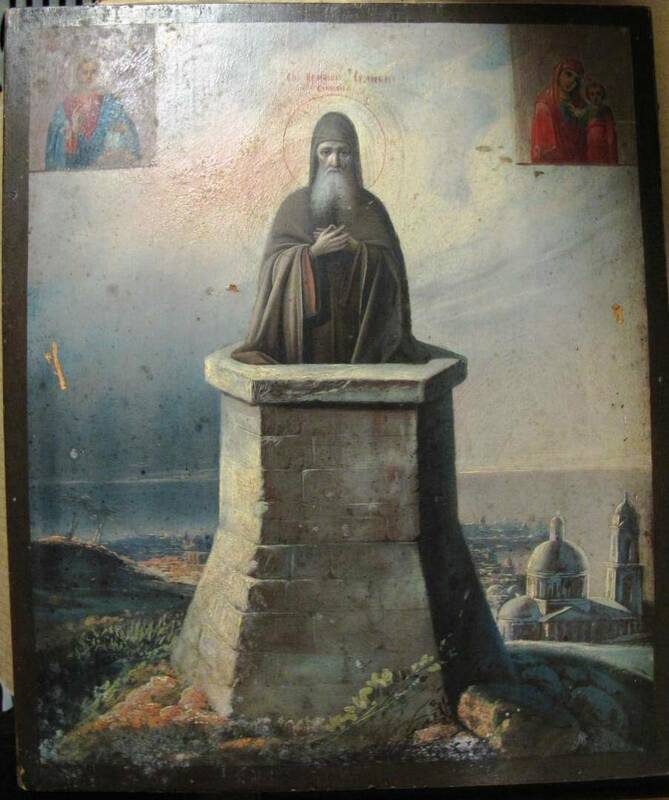 In an effort to atone for his sins, Nikita dug a deep well and spent all his time there in constant prayer, consuming hardly any food. 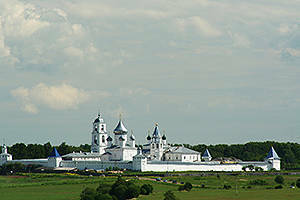 Later, the monastery was frequented by Ivan the Terrible. 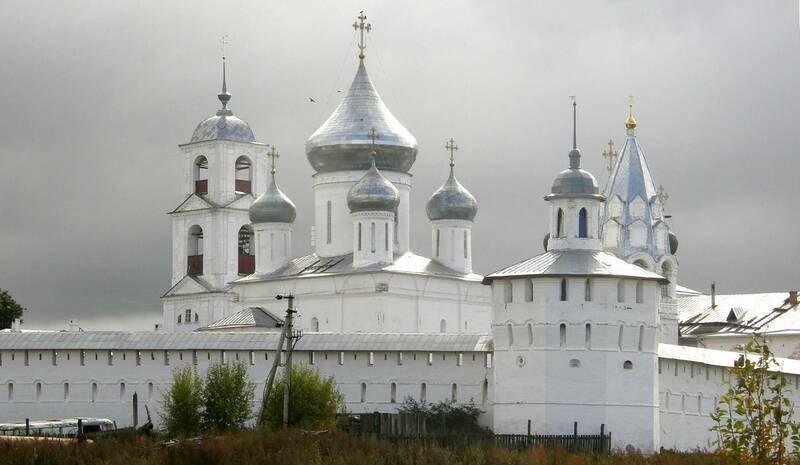 It was he who initiated the construction of the Nikitsky Cathedral and was also responsible for ordering the construction of the monastery’s walls and towers. 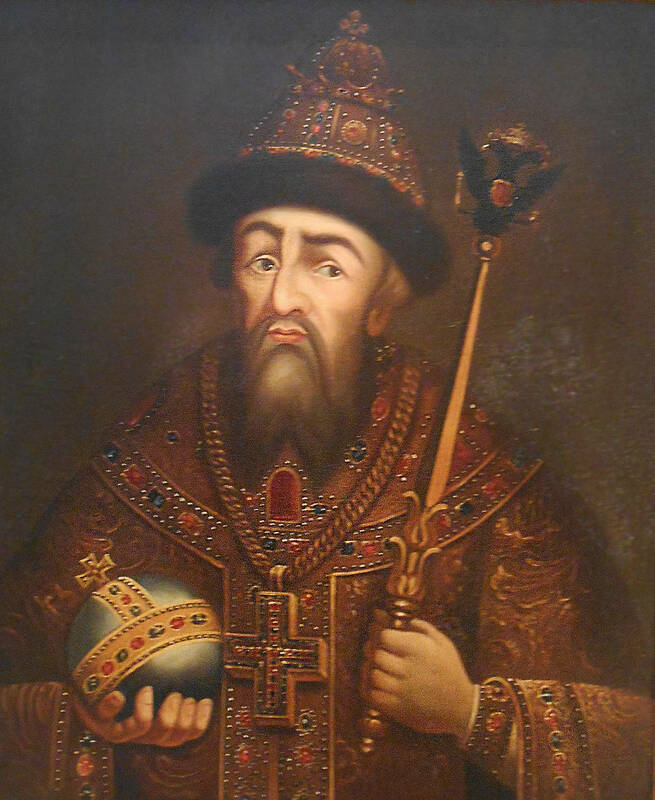 Ivan the Terrible is indirectly connected to the Holy Trinity Danilov monasteryRussian: Svyato-Troitsky Danilov Monastyr, or Свято-Троицкий Данилов монастырь. 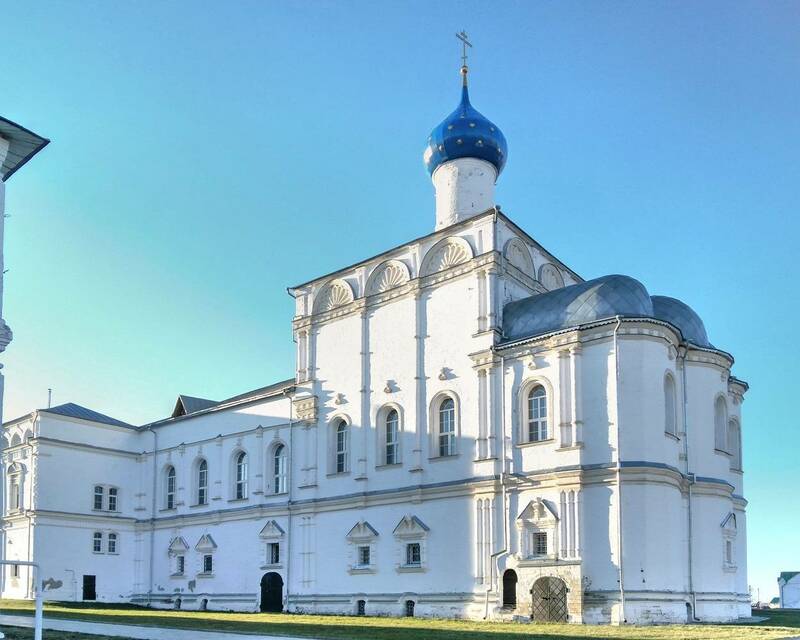 This monastery was founded by Staretsan elder of a Russian Orthodox monastery who functions as venerated adviser and teacher Daniil who later became the Tsar’s godfather. 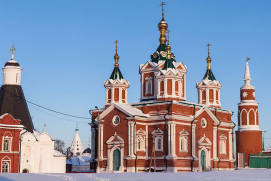 The monastery’s main cathedral – the Trinity CathedralRussian: Troitsky sobor or Троицкий собор – was built in honour of Ivan’s birth in 1530 and is the second oldest church in the town. 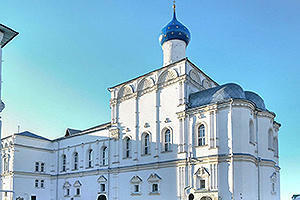 The exterior of the Cathedral is rather unsophisticated – it is in essence a white cube, dissected with slender wall piers. 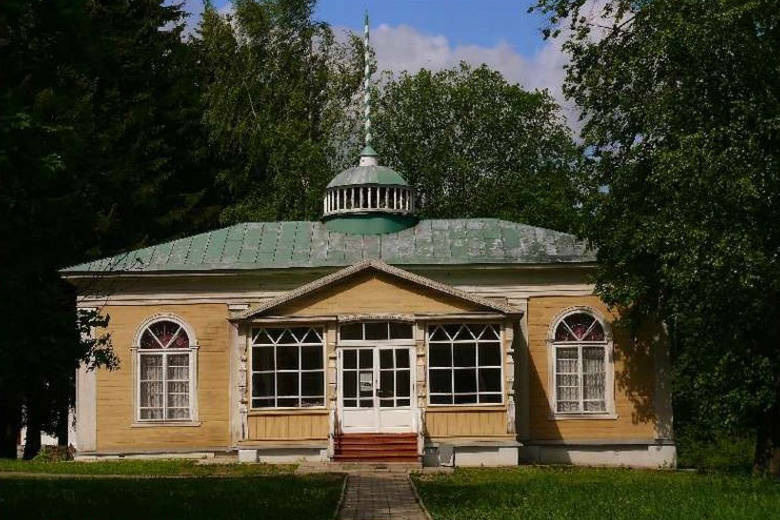 However, this apparent simplicity embodies the power of ancient Russian architecture where the beauty of a building is expressed not through an abundance of décor but through the harmony of volumes and proportions. 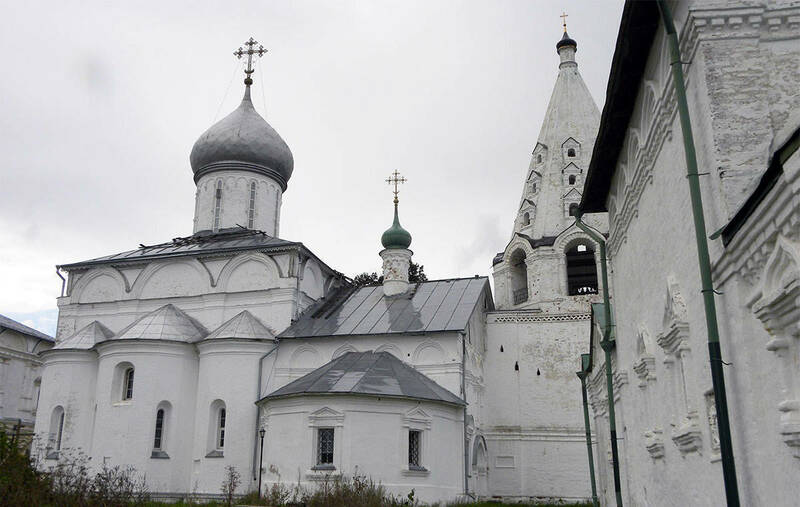 The cathedral design is very much in keeping with the adjoining tented belfry and the brothers’ chambers, both of which were built later. 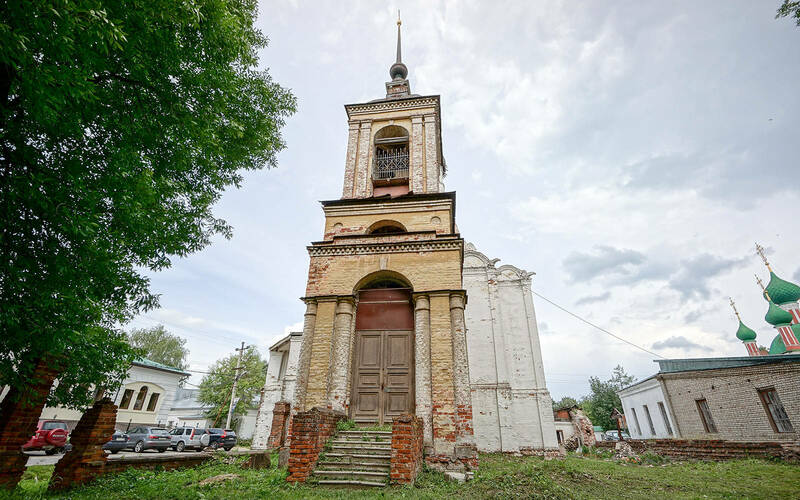 Some monuments from the 17th century are of interest too, including the Church of All SaintsRussian: khram Vsekh Svyatykh or храм Всех Святых and the Praise of the Holy Mother ChurchRussian: khram Pokhvaly Presvyatoy Bogoroditsy or храм Похвалы Пресвятой Богородицы. 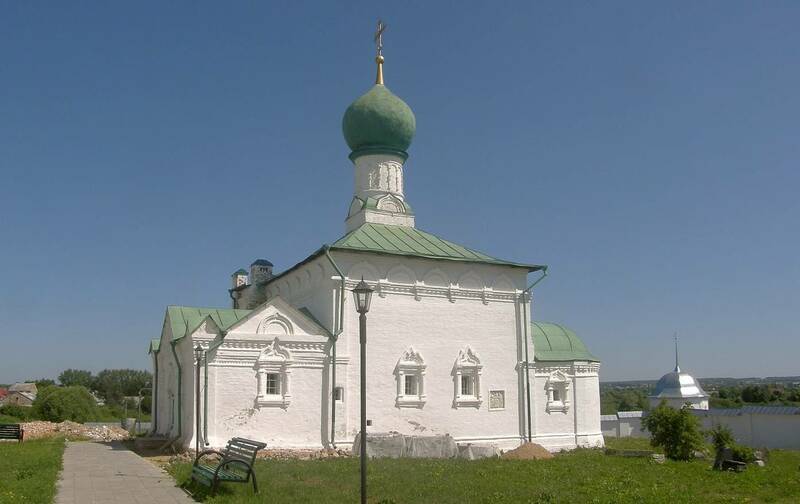 The Fyodorovsky MonasteryRussian: Fedorovskiy monastyr or Федоровский монастырь (85, MoskovskayaRussian: Московская str.) 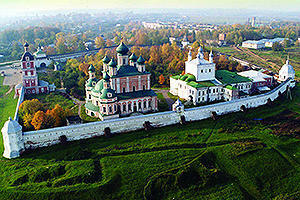 is a five-domed, large, rather ornate cathedral founded by Ivan the Terrible to mark his son Fyodor’s birth. 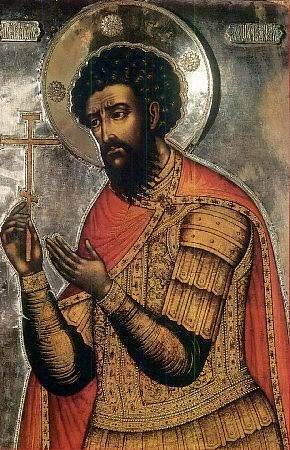 It is also connected with the Great Martyr, Theodore Stratelates. 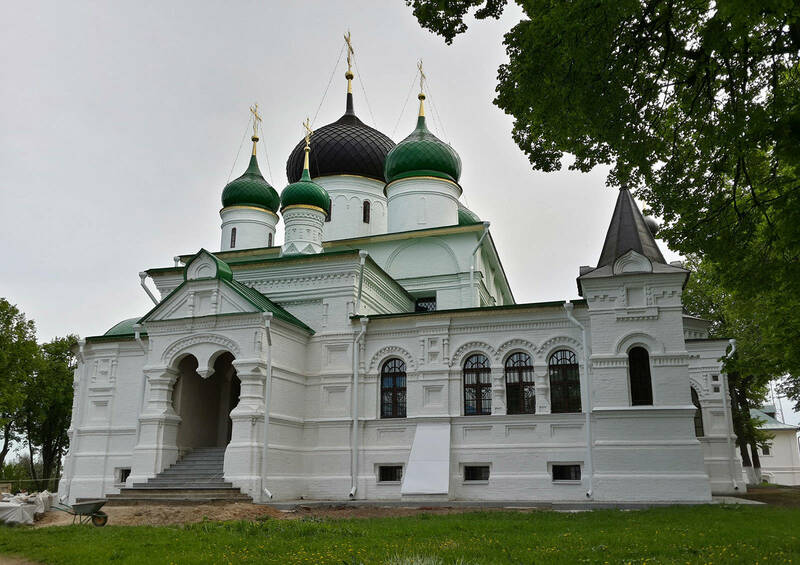 The Goritsky MonasteryRussian: Goritskaya obitel or Горицкая обитель (4, Muzeiny side streetRussian: Muzeynyi pereulok or Музейный переулок ) is no longer an active monastery. 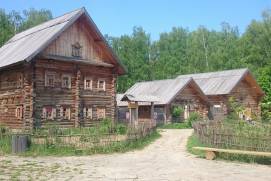 The Pereslavl Museum-ReserveRussian: Pereslavskiy muzey-zapovednik or Переславский музей-заповедник, founded in the 14th century and dedicated to the feast day of the Dormition of the Most Holy Mother of God, is located within its territory. 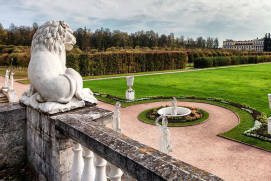 Almost all the buildings that have survive date back to the 18th century and serve as excellent examples of Baroque and Classicist styles of architecture. 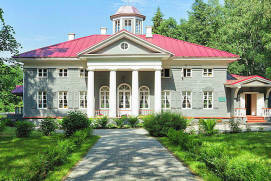 Nowadays, these buildings house a number of exhibitions such as “Silver Storeroom” (Russian decorative arts and crafts of the 16-19th centuries), “Wooden Sculpture and Carving of the 16-19th Centuries”, “Ancient Russian Art of the 15-18th Centuries”, “Russian Painting of the 18-20th Centuries”, “The Arts of the Russian Village”, “A Crown for Estates”, “The Wonderful World of Zalessky Nature”, an exhibition dedicated to F. ChaliapinRussian opera singer, and others. 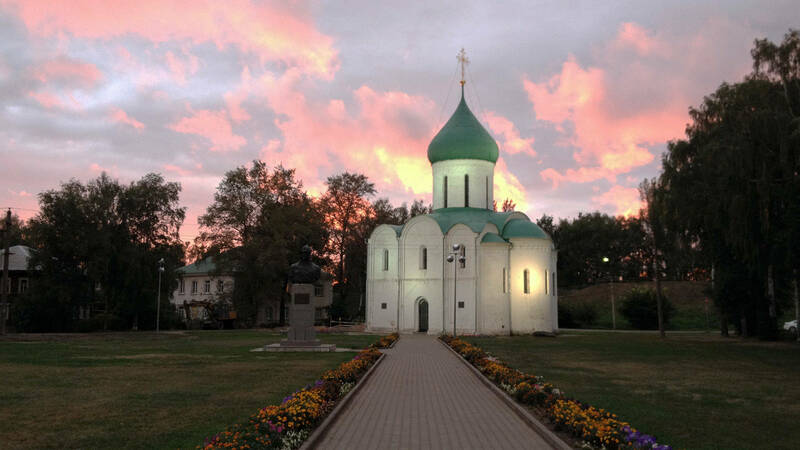 It is not only Pereslavl’s cathedrals and monasteries that can tell us about the history of the town – the museums as well, tell their own stories. 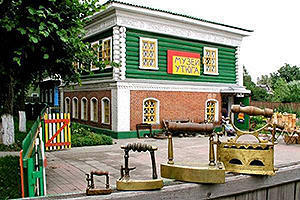 One museum is dedicated to Emperor Peter the Great. 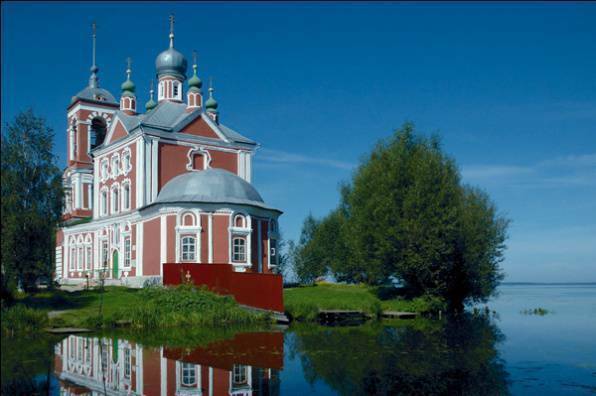 It was here, on the shores of Lake Pleshcheyevo, that the young Peter began to build his “Funny Fleet” (i.e. 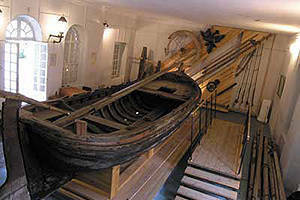 training flotilla) which were the Russian Empire’s first ships. 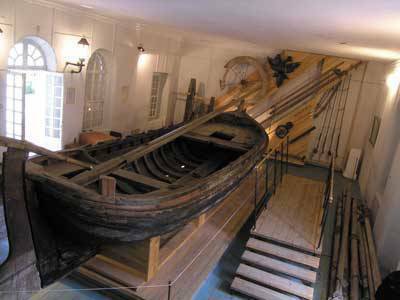 In 1801, the Museum Estate “The Little Boat of Peter the Great”Russian: Muzey-usadba «Botik Petra I» or Музей-усадьба «Ботик Петра I» was founded there which keeps the only surviving ship, the small boat “FortunaRussian: Фортуна”. 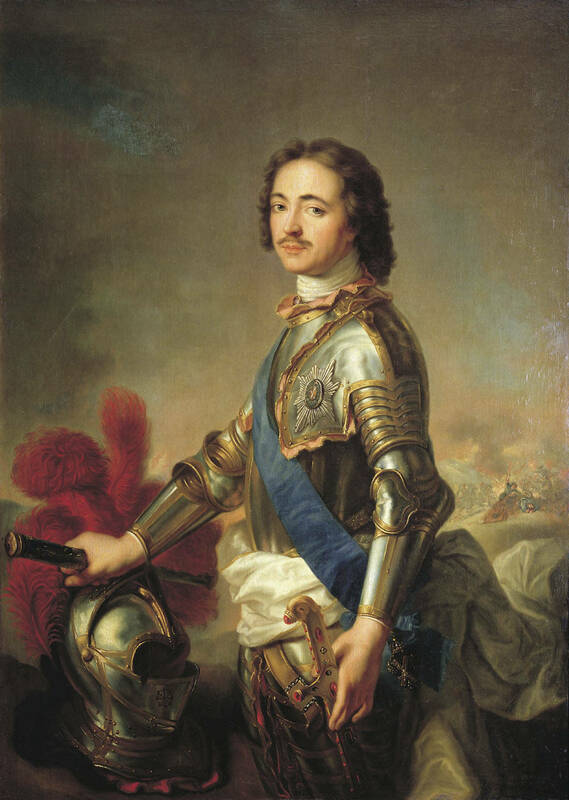 The future emperor may have participated in its construction – Peter the Great preferred to do the manual work himself and would not delegate it to others. This museum, established in 1803, claims to be the oldest Russian provincial museum. 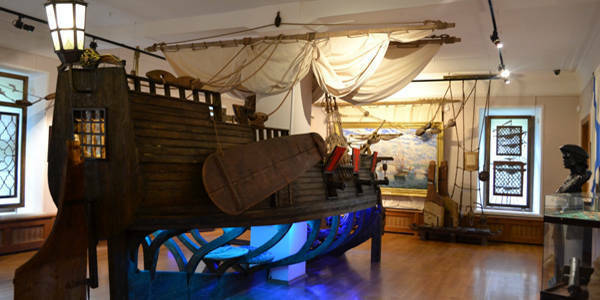 Apart from the “Fortuna” boat, some authentic parts of other ships as well as some everyday objects from Peter the Great’s time are on display in this museum. 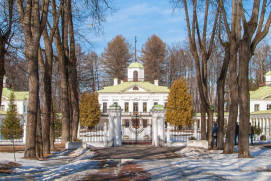 Within the estate is a monument and an obelisk dedicated to Peter the Great, and the White PalaceRussian: Belyi dvorets or Белый дворец (dating back to the mid-19th century) houses an exhibition called “At the Beginning of Glorious DeedsRussian: V nachale slavnykh del or В начале славных дел”. 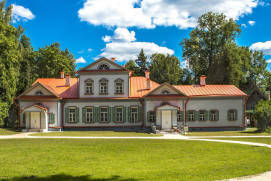 The exhibition «Cool Biting PlaceRussian: Klyovoe mesto or Клевое место”, devoted to the history and everyday life of Pereslavl fishermen is located in the so-called “Gatehouse (StorozhkaRussian: Сторожка)”. 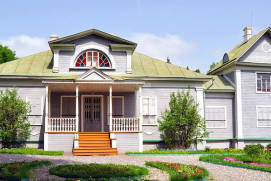 Museum address: 3km from Pereslavl-Zalessky, VeskovoRussian: Веськово village, Pereslavl districtRussian: Pereslavskiy rayon or Переславский район. 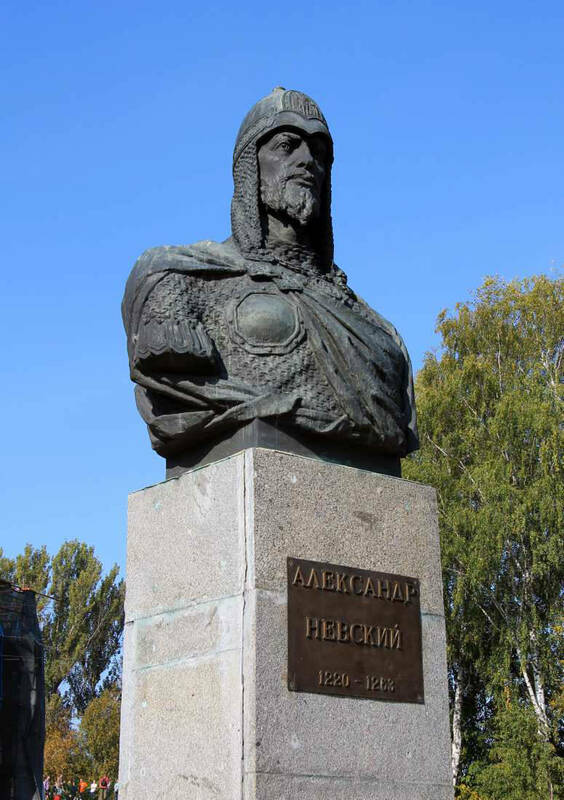 Prince Alexander Nevsky’s life was closely linked with the history of Pereslavl. 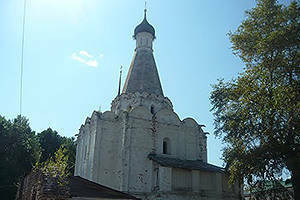 He was born in this town, often came back here, and subsequently founded a monastery here, as well. 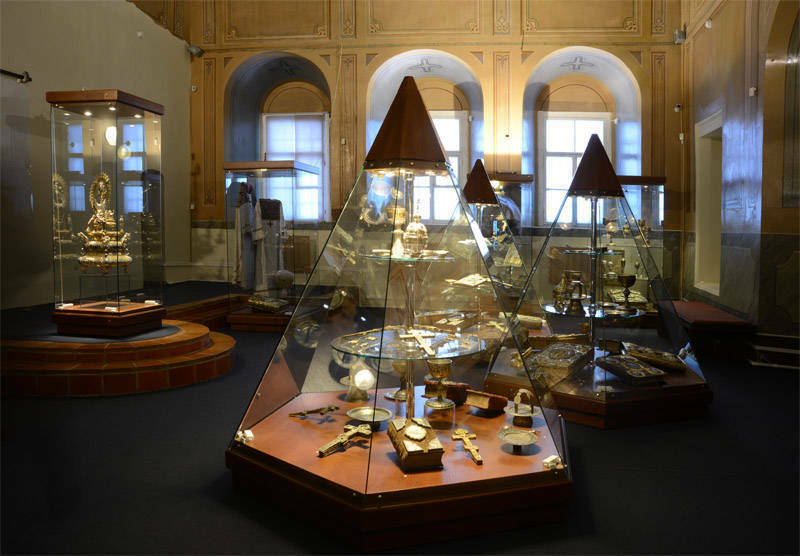 The Alexander Nevsky MuseumRussian: muzey Aleksandra Nevskogo or музей Александра Невского (9, Muzeiny side street) exhibition displays works of art, armour, and everyday household items dating back to the 12-14th centuries. 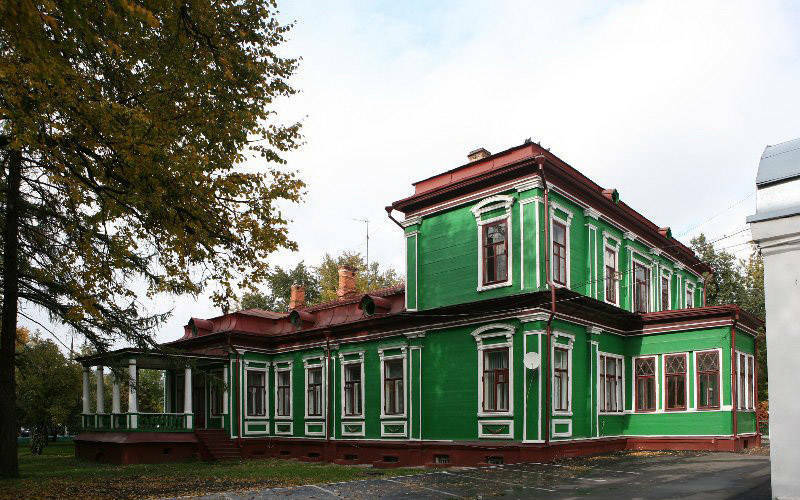 You can find a number of unusual museums in Pereslavl, including the Museum of Flat IronRussian: Muzey utuga or Музей утюга (11, Sovetskaya str. 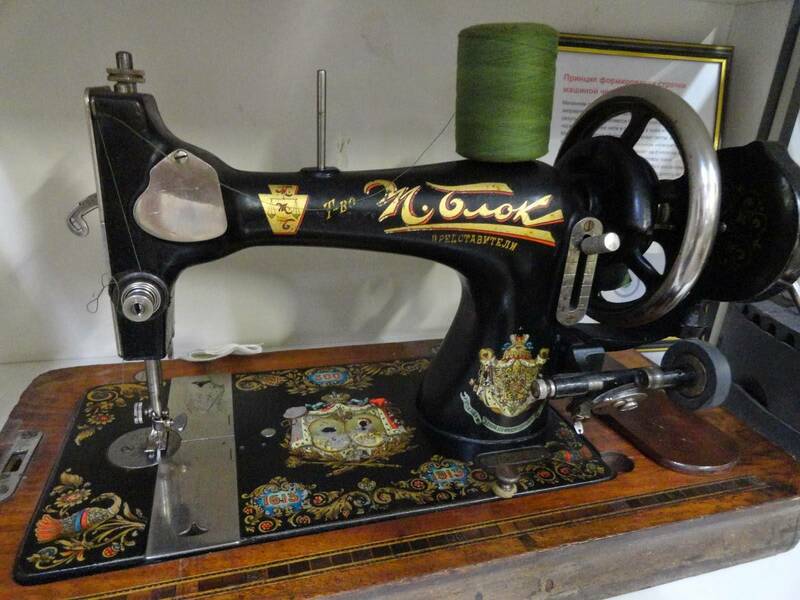 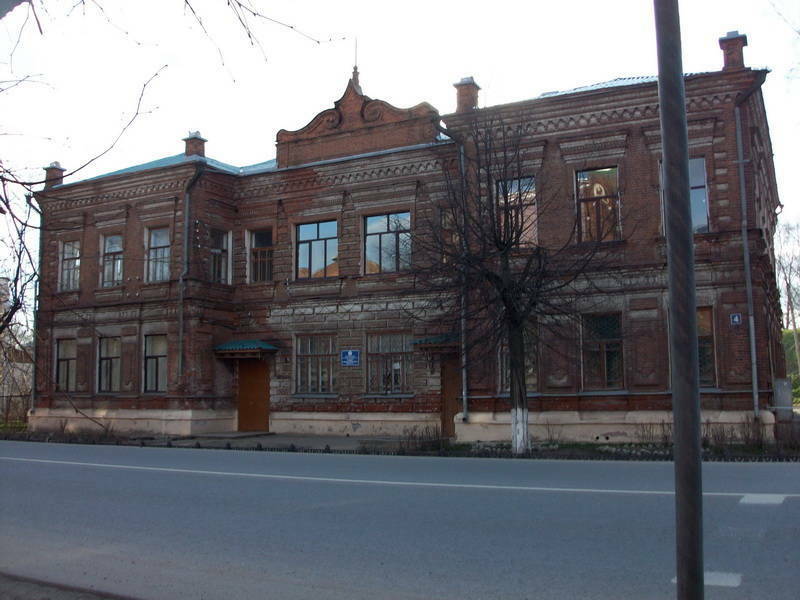 ), the Museum of Sewing MachinesRussian: Muzey shveinykh mashin or Музей швейных машин (23, KardovskogoRussian: Кардовского str. 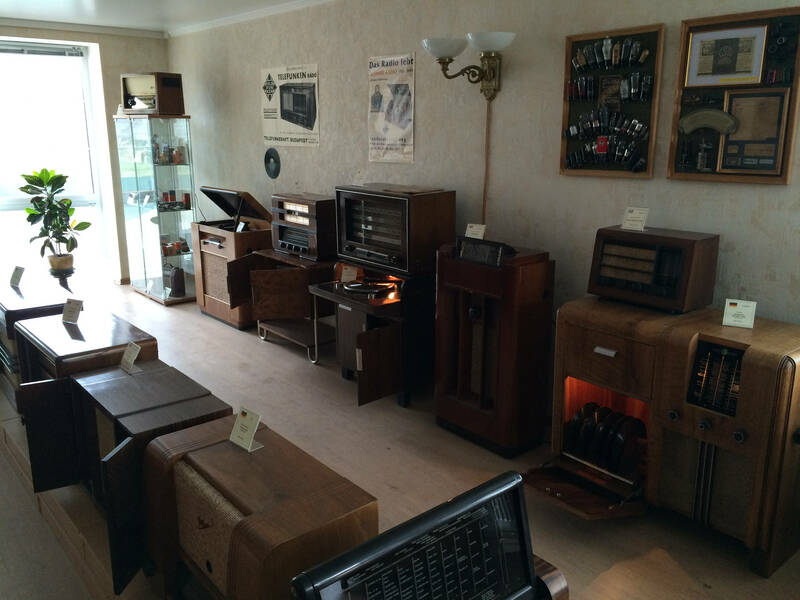 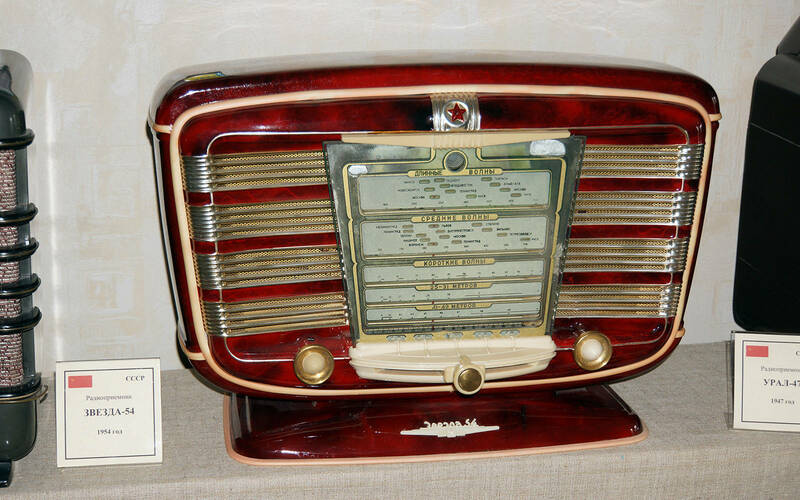 ), the Radio MuseumRussian: Muzey radio or Музей радио (40, PodgornayaRussian: Подгорная str.) 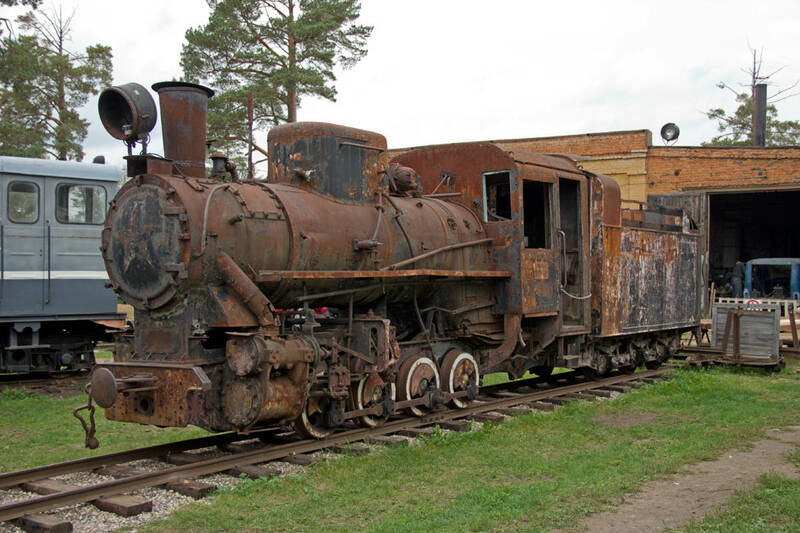 and the Railway MuseumRussian: Zheleznodorozhnyi muzey or Железнодорожный музей (1, LeskhoznayaRussian: Лесхозная str., TalitsyRussian: Талицы village, Pereslavl district). 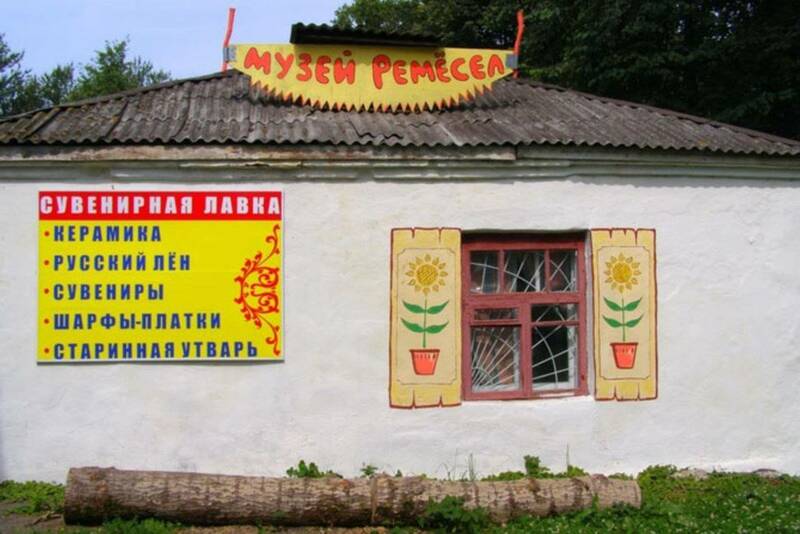 Their names speak for themselves. 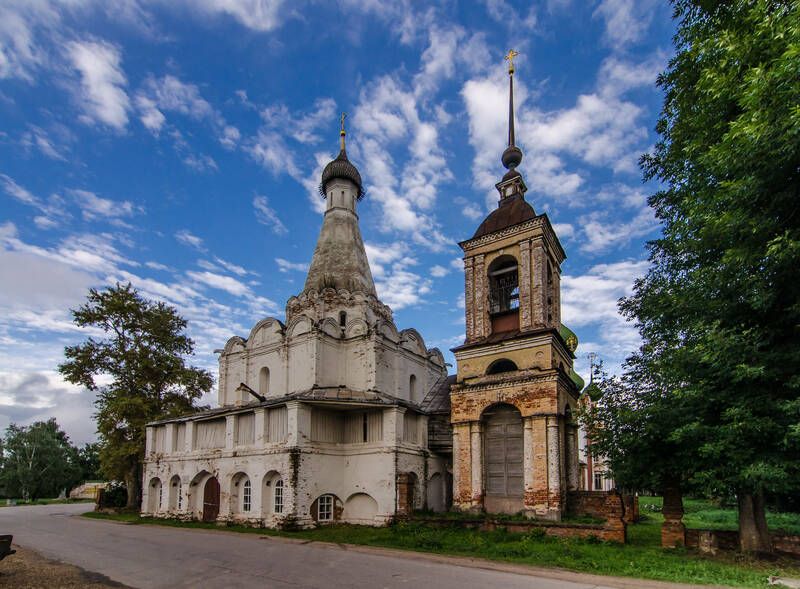 Even when simply strolling along the quiet streets of Pereslavl, you are sure to find something to have a closer look at because the town contains so many 19 – early 20th century buildings. 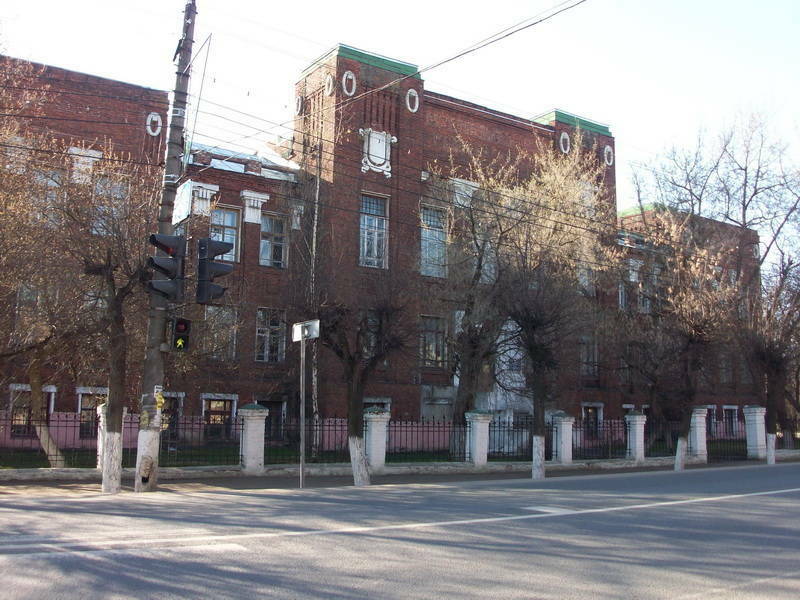 Let’s take just one street for example: Sovetskaya street (Russian: Советская улица) features a parish school and the town gymnasium built in the Art Nouveau style; merchant Pavlov’s wooden estate house (5, Sovetskaya str.) 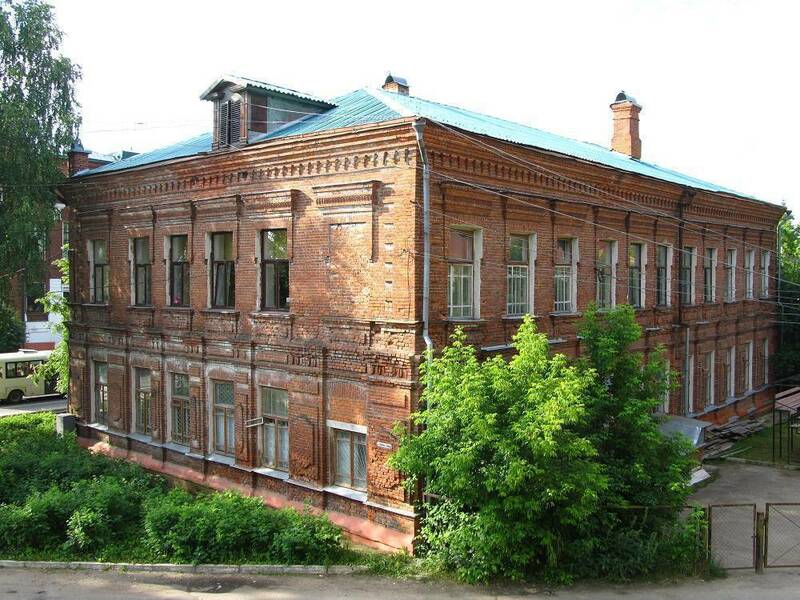 is a cozy green building with a picturesque design; there is an early 19th century alms-house, and a small one-storey women’s gymnasium dating from the same time; an old fire station which later housed the municipal duma (town council). 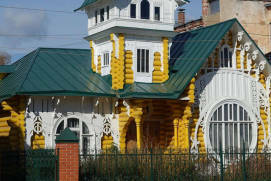 Another noteworthy building is the Vorontsovs’ mansion (41, Sovetskaya str.) 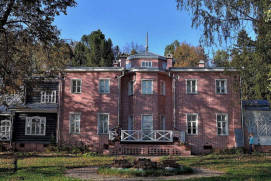 – an early 20th century building with an open round veranda reminiscent of V. Bazhenova Russian neoclassical architect, graphic artist, architectural theorist and educator’s works which are featured in Moscow. 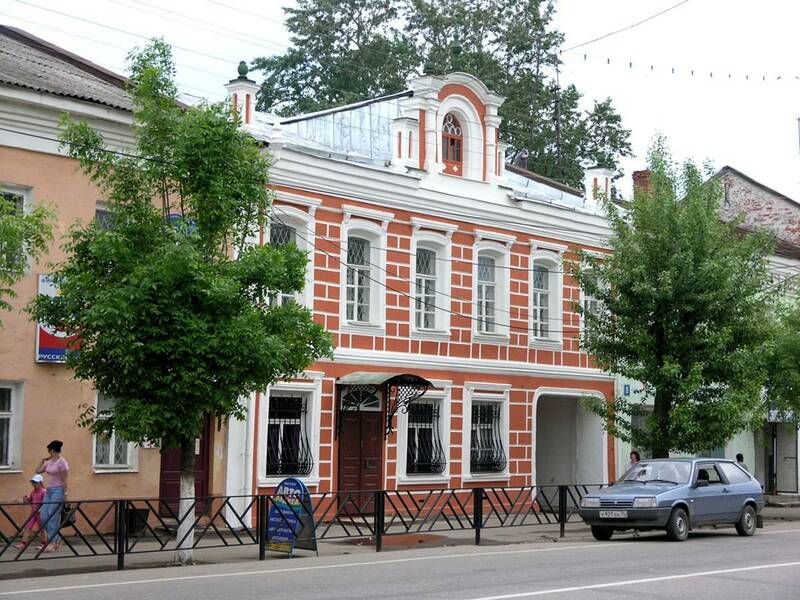 These small ancient houses lend an air of cozy warmth to Pereslavl’s streets. 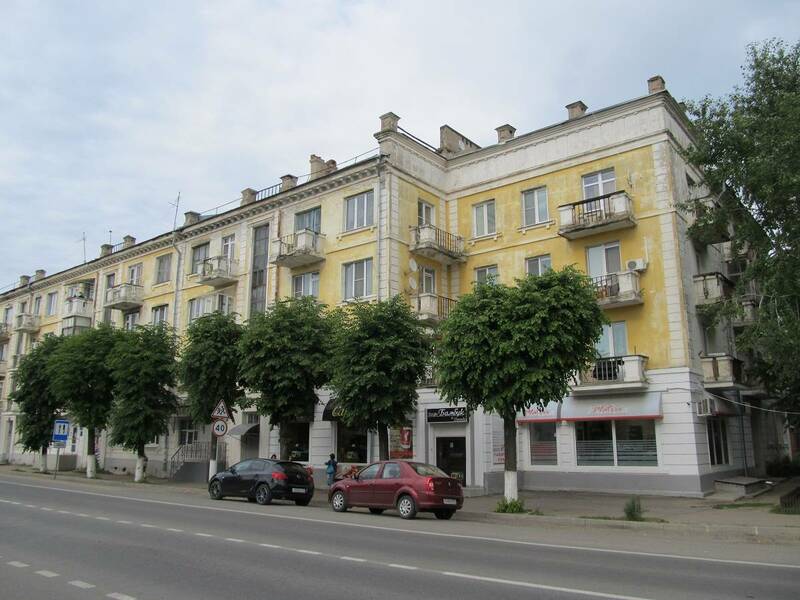 1) by bus from the bus station at m. Shchyolkovskaya. 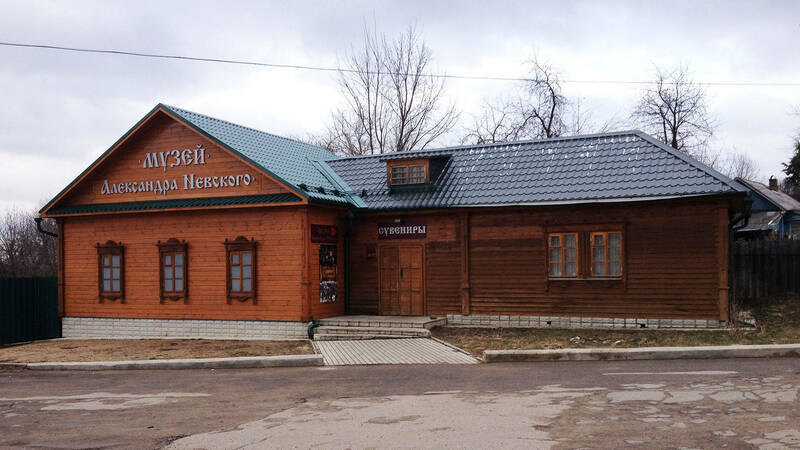 2) train station, Sergiev Posad or Alexandrov, hereinafter referred to as the bus. 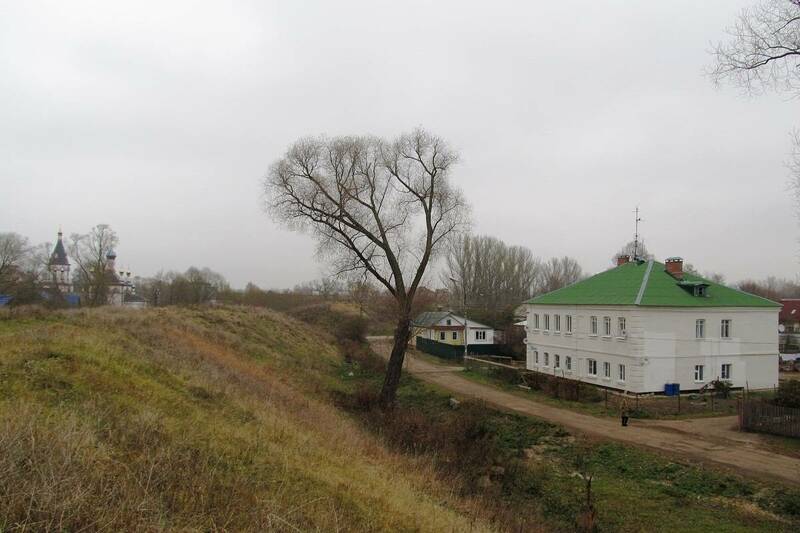 3) driving through the Federal route yaroslavskoe shosse "M8" Kholmogory.